Huawei Premium Mate 10 Phones Are Not Perfect. Not Quite. PAT PILCHER gets to play with Huawei’s new, premium smartphone range and there’s really only one sticking point. Read on to find out more. 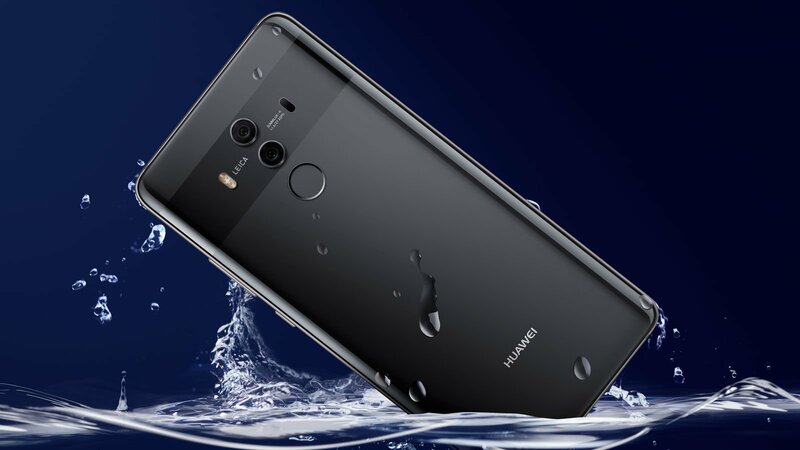 Having overtaken Apple, Huawei are on a roll. 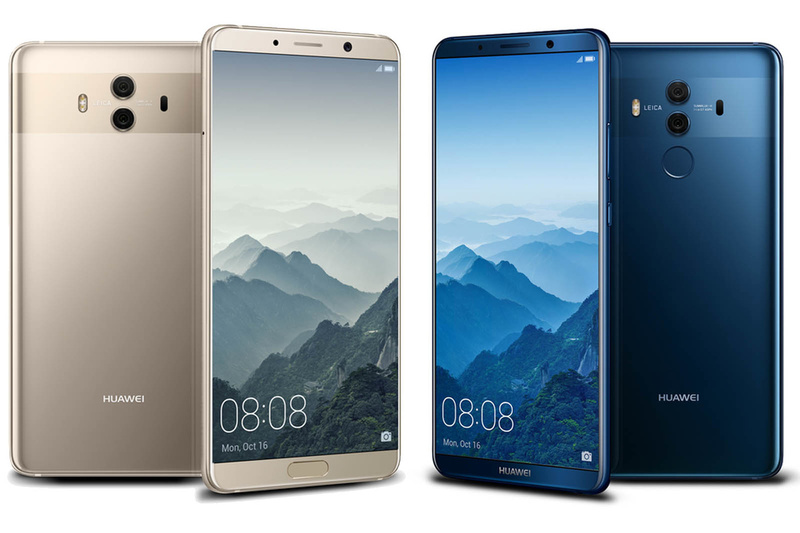 They’re not resting on their laurels though, but launching three new flagship smartphones, the Mate 10/Mate 10 Pro and Porsche Design Mate 10. They’re good looking devices. 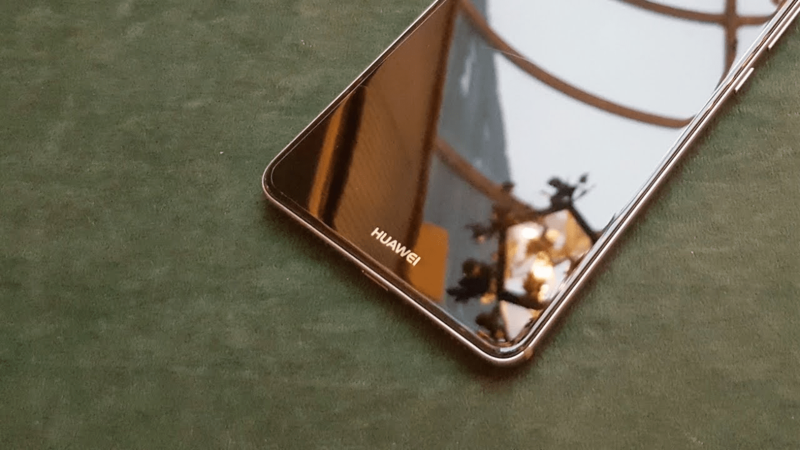 Huawei has ditched the alloy unibody design they’ve used for years and instead opted for a glass front and back. It’s an elegant look. Swanky design gets accentuated thanks to rounded/curved rear edges. These make the Mate 10/Pro/Porsche Design Mate 10 comfy to use for extended periods. Other design flourishes like the reflective strip under the rear cameras also adds sophistication. While the Mate 10 and Mate 10 Pro are available from most 2 Degrees stores, the Porsche Design Mate 10, which commands a whopping $2299 sticker price, is only available from the Queen Street 2 Degrees store – so presumably anyone out in the boondocks can’t afford it. The Mate 10 range is also Huawei’s first, with artificial intelligence hardware baked in. Huawei call this the NPU (Neural Processing Unit). It helps the Mate 10 handle AI tasks that would otherwise involve sending data back to a datacentre. It also adds a tonne of subtle but very usable smarts to the Mate 10 range. A particularly nifty AI feature is the Translate app. It can translate the language of photographed/typed text into another language without sending data back to a data centre. This could be a real boon for travellers wanting to avoid roaming data charges. AI also helps with a bunch of other features, including driving an intelligent camera mode. This sees camera settings auto selected based on what’s getting snapped, allowing you to focus on taking photos instead of fiddling with camera settings. Another handy (but not so obvious) AI feature is intelligent noise cancellation, which makes calls made in noisy environments sound a lot clearer to the person you’re calling. Under the hood, AI also manages system resources to ensure the Mate 10 doesn’t slow down over time. This also covers energy consumption, which extends the Mate 10’s battery life. The Mate 10 range has what Huawei call Super Charging technology. It’s one of the fastest available and can take a phone from zilch to 58 percent charge in just 30 minutes. This has been a life saver more times than I can count already. The range also comes with a sizeable 4000mAh battery which, and coupled with an energy efficient Kirin 970 CPU and AI power management, two day battery life is the norm. The Mate 10 range uses an in-house developed Kirin 970 CPU. It’s a powerhouse CPU thanks to its 8 x 2.5GHz cores. It’s also a 10nm beastie. In non-geek speak, all this translates into lots of grunt without punishing the battery. It also has a whopping 5.5 billion transistors crammed onto a tiny 1cm square silicon wafer. The Mate 10 sports a 5.88-inch IPS LCD display with a QHD resolution (1440 x 2560 pixels, 16:9 ratio at 499 ppi). Like Samsung’s Galaxy S8, the Mate 10 Pro’s display is tall and slim owing to its 18:9 aspect ratio. It is an AMOLED display that is slightly larger at 6-inches, and sports a FHD resolution (1080 x 2160, at 409 ppi). Near non-existent side bezels also make both phones easy to use one- handed. The Mate 10 comes with 64GB of storage and 4GB of RAM. The Porsche Design Mate 10 packs a whopping 256GB of storage and 6GB of RAM. Huawei has been busy on the audio front. The Mate 10 range supports aptX, aptX-HD and LDAC for superior Bluetooth music playback. This is a good thing given that the Mate 10 Pro lacks a headphone socket. The DAC used on all three phones supports 32bit/384kHz resolution playback, so it’ll play nice with hi-res audio files. Huawei’s phones gained a huge following thanks to their cameras. The Mate 10 range is no exception, and they come equipped with dual rear shooters. 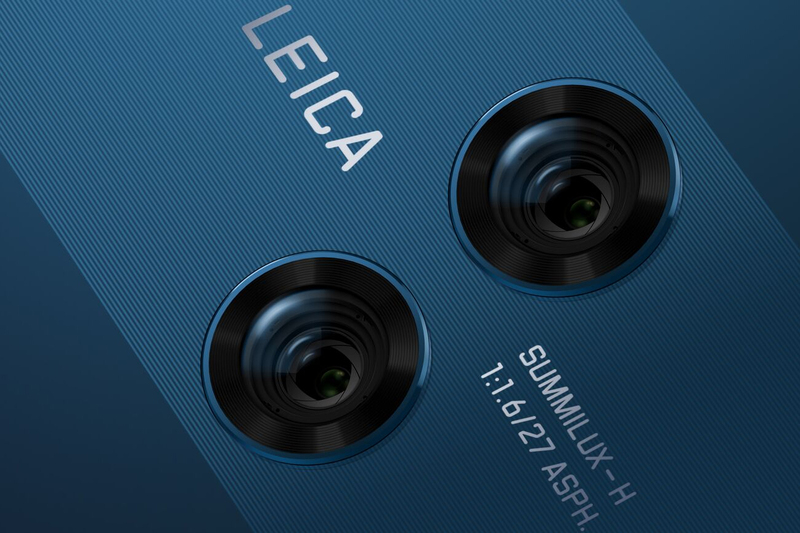 Their photographic chops get helped by Leica SUMMLUX-H lenses, which have an f/1.6 aperture – one of the widest to date. This together with optical image stabilisation on the mono sensor also helps low light photography. 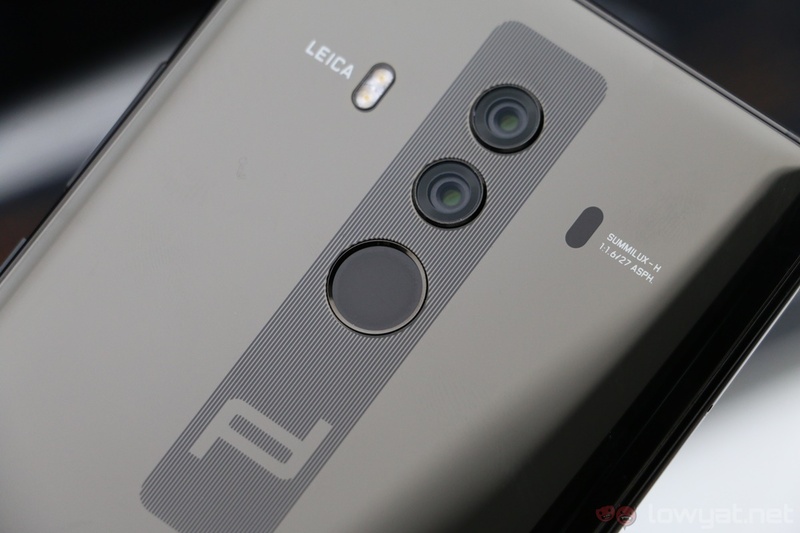 Like earlier Huawei Phones, the rear cameras are a mono/colour combo. The theory here is that by removing the colour filter (which splits light into red, green and blue), less contrast information is lost, translating into sharper (albeit monochrome) images. A lower resolution colour sensor provides colour information which is merged with the mono image. This also gives the cameras similar capabilities to shooters with larger lenses that’d be all but impossible to mount on a phone. The result is photos that are the match for snaps taken with high-end mirrorless digital cameras. Below the cameras on the Mate 10 Pro is a fingerprint scanner, which is exactly where my fingers rest when holding the phone. This allows me to unlock it when picking it up. The Mate 10 has its fingerprint scanner under the bottom screen bezel, and it also doubles as a home button. Launching a smartphone with unique must-have features is a tough undertaking. Compelling innovation hasn’t taken a back seat but often incremental features about which the average punter doesn’t care are more prevalent. Thankfully, isn’t the case with Huawei. They’ve managed to craft a range of phones whose innovations are both subtle and useful. Great design, a stunning camera and solid battery life should have seen the Mate 10 being Witchdoctor’s first to score a 10/10. Unfortunately, the lack of headphone socket in the Mate 10 Pro got it docked a notch.